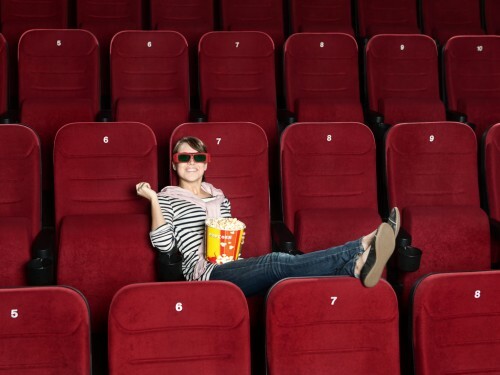 A friend suggested that watching a movie alone is absolutely liberating and it turns out that it really is! Liberating in so many ways. 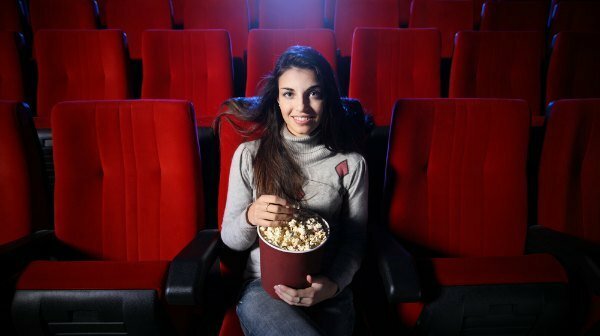 Ever since I’ve tried watching a movie all by myself once, I didn’t really care much that I was there…alone. I was always encapsulated and engrossed with the film in my own little movie world. I wanted to see “Twilight Saga’s Eclipse” and bought two different advance tickets—one for the regular and another for 2D. But with the long line of fans waiting to enter the cinema on opening day, I had no choice but to let go of one. I sold my 2D ticket to the first loner I saw—a guy who stood six-foot tall without any girlfriend or boyfriend at the end of the line to the ticket booth. I didn’t even bother buying snacks when I saw “Karate Kid.” And each and every time I see a movie alone, I have the choice to buy movie snacks or not. I can decide for myself if my movie snack is already my dinner before heading off to work or eating a heavy dinner after the movie before I head home. I could either be on a diet or just didn’t want to spend money on junk food that will, no doubt, add weight while I absent-mindedly munch on it as I focus on the big silver screen. Weeks after “Shrek, Forever After” has been playing in the cinemas, I’ve suddenly wanted to see it after hearing from an office mate—Dani, that it was really good. Right after work, I rushed to the ticket booth with the intention to watch it alone. It wasn’t such a long line but there were people, thank God. When I entered the cinema, there were lots of seat choices but since I had the choice where to sit, my first choice is always the middle seats – G8 or F7 seats–that part where you could see the isle leading straight to the center of the silver screen. And it’s always the perfect spot. I had no need to consult anyone if the seats were OK. For me, they get the best effects—focused and directed sounds to the center of the cinema acoustics and best angle to the silver screen. With those seats I got exactly what I want, thanks to Dani. I wanted to see “Eclipse” on the first full show but it seemed as if Session Road could be filled with fans that were all lined up in front of the locked mall more than an hour before it opens its gates. I had breakfast with my office mates and decided to see the second screening but when I got to the end of the line, I knew I won’t be able to cut my movie ticket in half for hours. I was in line from 11am until the third screening at 4pm. With any movie I see, I always want to focus on the story. I hate it when people want you to translate the script for them. I hate it when they show they cannot understand the show while texting someone who didn’t even need to be there. Any light in the cinema that does not come from the silver screen is a huge distraction for me and if it comes right beside me, it’s everything I see and it’s one of the moments I ache to grab for my sleeping eye covers. One main reason why I watch a film in the cinema is to get the complete feeling of it. And if distractions are all around, I don’t get my money’s worth. And whenever that happens, I watch the movie again. I didn’t care. I wanted to see it and I did. I stayed in line for hours you wouldn’t even imagine and I was there alone. No one was there to complain to me about not eating yet, how long the line is, how noisy the college students were like they were inside a campus, how starving I was, how long the hours of waiting was, how it felt like 3 am in the morning, how early I had to be back to bed in time to have enough sleep for my shift that night, how cute the guy in front of me was, how gay he looked, how cute the high school girl behind me was, how I craved for pizza, how funny the girls in Eclipse t-shirts were as they walked past me…blah, blah, blah. Whenever I’m there alone, I make my own rules or make no rules at all or better yet I break the rules! When you are there alone, you can do what you want. You own your time, you can see the movie three times and no one would care. You’re there just to have fun, enjoy and get the most out of the movie you’re seeing. It’s you and the silver screen—that’s all that really matters. I’m an insomniac with benefits. I can stay awake for 60 straight hours when I’m in front of the TV and DVD player watching FRIENDS for the umpteenth time, when I’m typing these words in my netbook, when I’m having tea at my favorite coffee shop—not Starbucks, when I feel like running and end up taking Pilates or Yoga at the nearest gym, or when I’m not sleepy so I get out of my room early and see a movie. One movie is sometimes not enough and when there are lots of good movies showing for one week, you can’t seem to get enough. I have yet to cross out a long list of films I want to see and since the big screen is like my second TV set, I cannot wait to see the next five movies on it! Although I may be alone when I’m in a dark and dimly lit room, with a huge TV screen staring back at me, it gives me this addictive sensation that fills up my cup. And I always get what I came there for!